When it’s bitter and cold outside, all I can think about is the warm comfort food I’m craving. The warm, delicious, gooey comfort food. The kind of comfort food that makes you reminiscent of the times spent sitting around a campfire with your closest friends and family. It may even remind you of your days spent huddled around a fire as a Girl Scout. This may be a no-brainer for some of you, but it recently dawned on me that I could make my favorite campfire treat in the comfort of my own home. And we’re not talking a simple melted marshmallow in the microwave–we’re talking browned marshmallows that I once believed you could only achieve with fire. 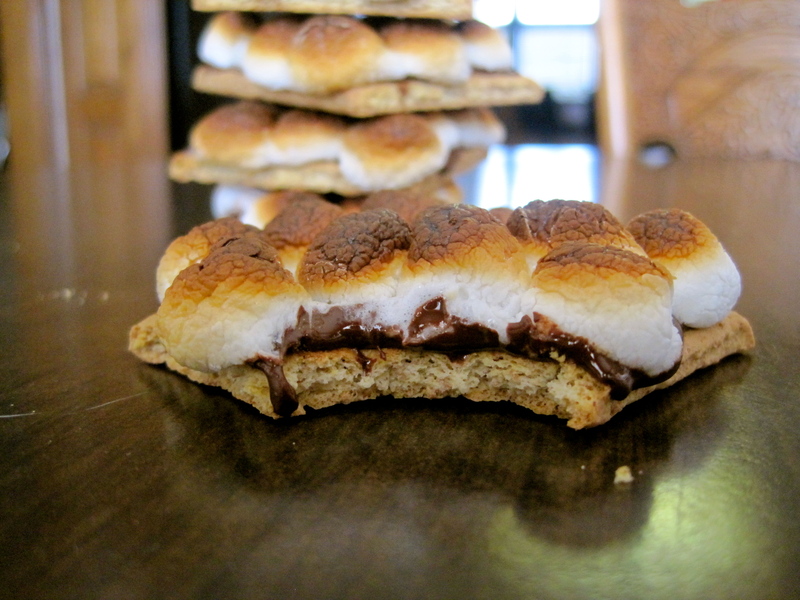 The most dangerous thing about these S’mores is that they take all of 5 minutes to make. 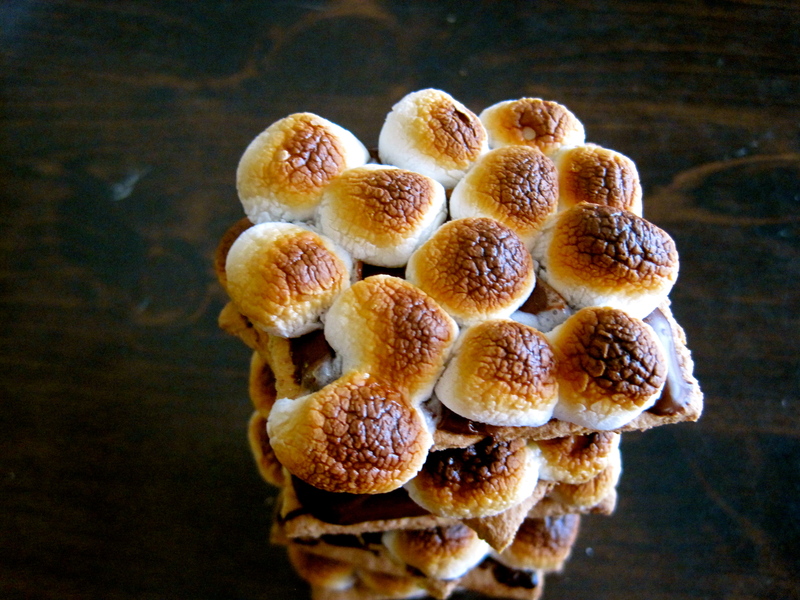 Stack the chocolate and marshmallows onto the graham cracker (chocolate first), then place on a baking sheet lined with foil (for easy clean-up, no need to grease it). 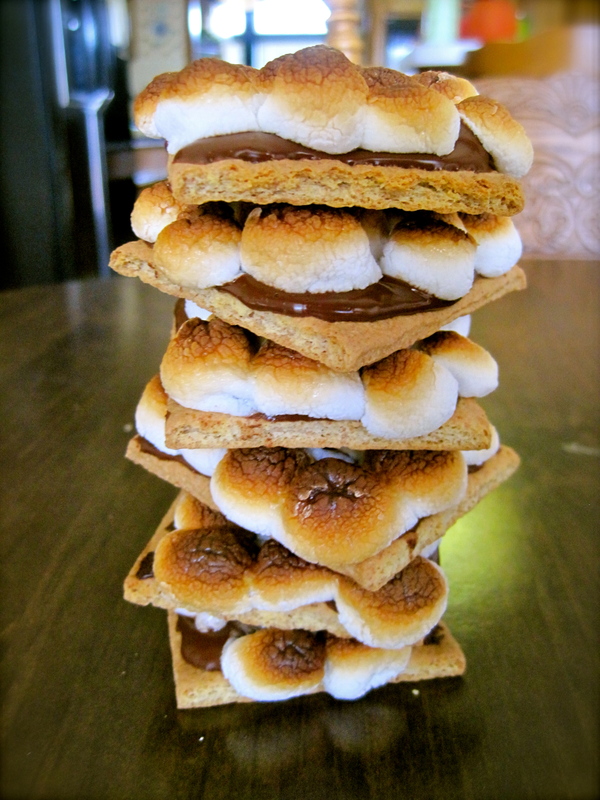 Stick into the oven and broil on high for approximately 5 minutes, depending on how brown you want your marshmallows. It’s very important that you keep an eye on the marshmallows as they brown because it happens much faster than you’d think! I had set some aside for my mom yesterday, and I stuck them in the microwave for 20 seconds to warm ’em up when she got home from work at night. After a long day of work, she was in dire need of some comfort food, and it was clear that these had hit the spot for her. She was actually a little sad that I hadn’t made some more (s’more…get it? ), but I assured her I would make more in the future. 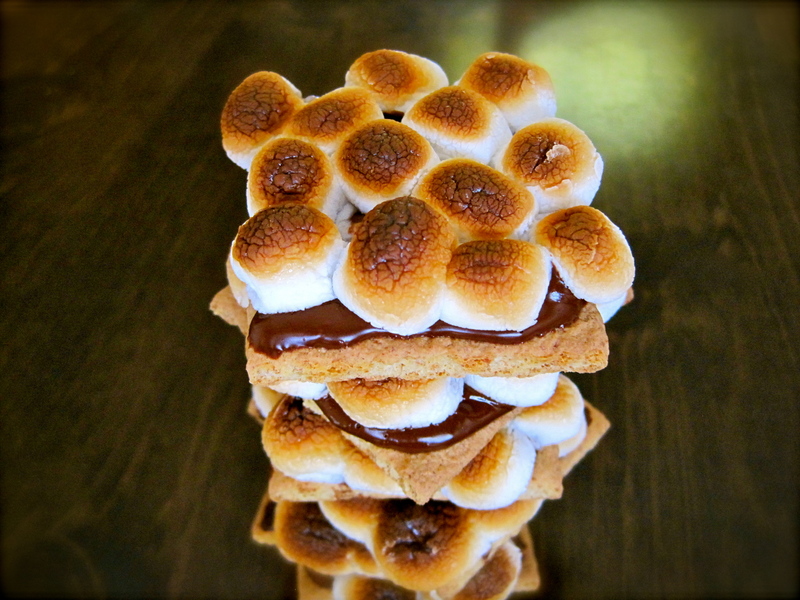 In the time you have spent reading this post, you could have made these S’mores already. 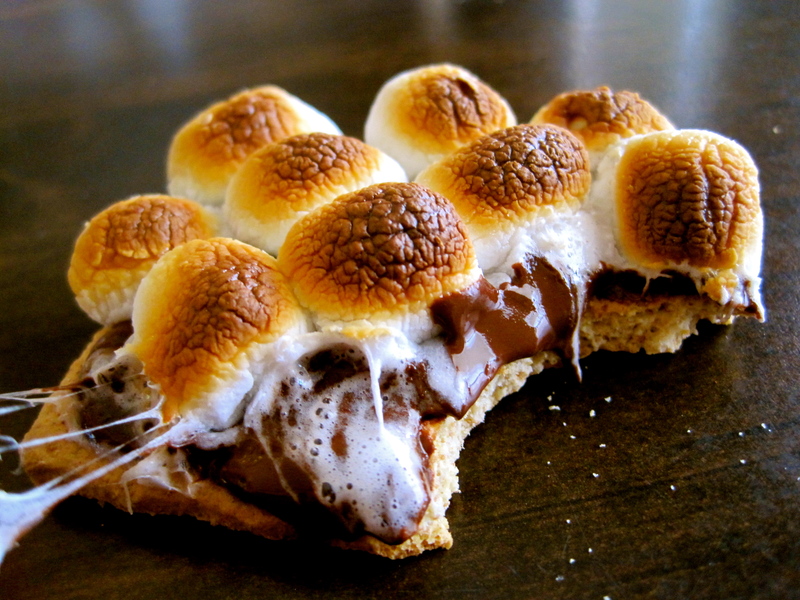 This entry was posted in Food, Recipes, Uncategorized and tagged 5 minute recipe, campfire, cold weather, comfort food, delicious, dessert, easy, food, oven, recipe, s'more. Bookmark the permalink. They even develop that perfect little crunch that makes each bite a surprise. You must make them soon–you won’t be disappointed! I love s’mores! And, this looks so easy and yummy!